A drunken house guest refused to leave and flew into a violent rage against his female hosts – throwing one against a cupboard. Alexander Reid (24) was asked to leave the premises because his friends were about to go out. He took exception to this and, after a struggle, he was forced out of the residence and police were called. 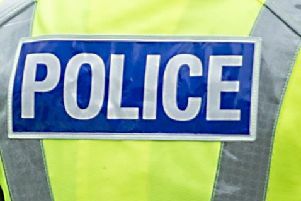 Reid, 133 Union Road, Camelon, appeared at Falkirk Sheriff Court last Thursday having previously pled guilty to the two assaults and damaging property at an address in Fairlie Street, Camelon on April 1. The trouble began when Reid and his friend, who had dropped by earlier in the evening, were asked to leave. Siobhan Monks, procurator fiscal depute, said: “The accused wasn’t in a very good mood and, with the female homeowners looking to go on a night out, they asked him to leave. “The accused’s friend was happy to go, but the accused took hold of one of the homeowners by the neck, released her, and then pushed the other woman into a cupboard, injuring her knee. “They managed to get him out of the house and shut the door. He then began kicking and hitting the door, knocking the letter box off. Defence solicitor Murray Aitken said: “These people were his friends and he has been to their house many times before without any incident. He is at a loss to explain what happened. Reid, who has a record with similar offences, had been carrying out unpaid work in the community. Sheriff John Mundy said the punishment of unpaid work did not seem to get the message across to Reid to stop offending, so he sentenced him to six months in prison.